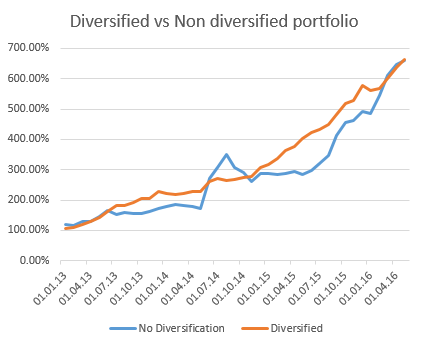 Our past articles on ‘Advantages of Diversification’ and ‘High Growth EIS investments vs ‘Low Risk’ EIS investments’ have highlighted the importance of diversification to ensure the funds within an EIS portfolio have a low level of correlation yet are still capable of delivering real growth rather than simple capital preservation. What remains a key question is how to identify a portfolio of non-correlated EIS funds to invest. An appropriate level of due diligence is required in order to identify the relevant funds and their underlying risks, which may be sector or asset class specific. Selecting a fund or manager based upon their sector or asset class expertise is sensible but it will also be important to consider the level of exposure to the same risk factors within a specific sector. So it will be important to understand what the specific risks are of each fund and try to build a portfolio of funds where the risks are not that similar. Whilst there is no common way to formalize these risks when building a portfolio, there are a lot of different approaches derived from the usual asset allocation ideas. Let’s say we have a fund which is “asset backed”. In the first instance we will need to understand what the assets are. If we take property for example, the risks here are largely dependent on the UK economy in general. So there is risk of Property values falling and the risk of recession in general to consider. To offset this, we should combine this investment with other asset classes which have a lower level of correlation with the rest of the economy. Consider another EIS sector; media. Whilst it is not asset backed, past performance has been strong and there is a strong exit strategy. However, there is a risk that the media sector will not continue to grow. If we were to analyse a Walt Disney price chart we would see that there is not much correlation between its performance and that of the general economy. This then could be a good addition to the ‘’asset backed’’ options within a diversified EIS portfolio. Let’s look at a third EIS fund which invests in small tech start-ups companies. Historically the success of start-ups have a low correlation with both the general market and the price of land. Again this would be a good inclusion to our diversified Portfolio. So in conclusion we now have a Portfolio split across 3 funds which, although in quite differing sectors, are expected to deliver a similar rate of growth. Furthermore, by diversifying you will have investments across sectors which are likely to exit at different times. An EIS portfolio with a property underpin will tend to exit during times when the UK economy is not in recession. The media sector may not be correlated to the UK economy and exit relatively quickly, whereas the tech sector is likely to be a longer term investment, with little correlation to the media sector. So when constructing a portfolio we have the opportunity to build something that may benefit from a market correction or at least be less affected, therefore mitigating risk with compromising performance. This example is for illustration purposes only, but we may be able to assist you in the provision of the required due diligence information – so you can undertake the analysis yourself. The idea is simply not to invest in one area, it’s just not ideal in terms of diversification. The idea is to choose real growth companies in different sectors and use them in one portfolio.